“All Things Spring Week” Blog Recap! 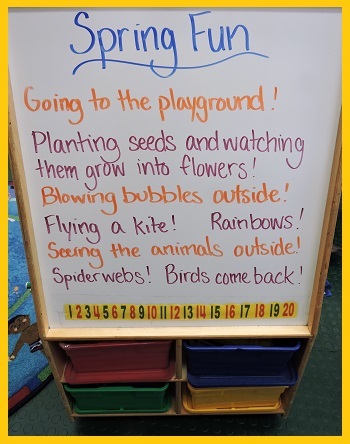 “All Things SPRING Week” marked the arrival of our new season and even some super sunny (but chilly) days! The students were so excited to say “SEE YA LATER” to Winter as they enjoyed running and racing around at the playground with the sunshine on their backs! In true Spring fashion, there was some rainy days this week. Nevertheless, the students had a blast this past week preparing for the new season! Be sure to read on below to learn more about the fun that was had and learning that took place! 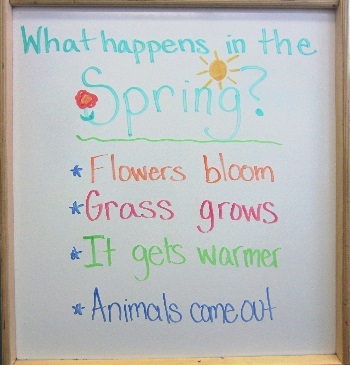 On Monday morning, the students created a list of all that they knew about the upcoming season – Spring! Here are some of the highlights they came up with. Throughout the week, the students created some beautiful Spring artwork. Here are some of the projects they created this past week. With it being “Spring Week”, the students naturally needed do some planting! After reading a fun seed story in the morning, the students could hardly contain their excitement when they learned they would be planting their very own seeds in a pot which they would be taking home to continue caring for! With some time and some tender love and care, some beautiful wildflowers will soon sprout! We can hardly wait to see what blossoms! 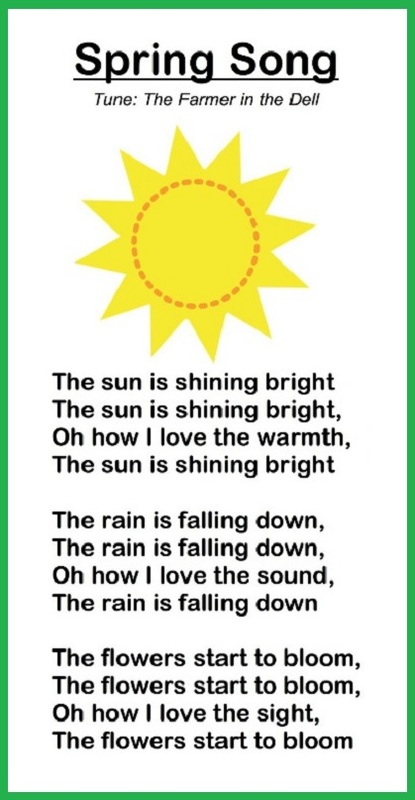 Please keep us posted on any developments in your child’s planting! The fun continued in the afternoons as the students participated in both Spanish and music class where they learned several Spring songs. They also discussed the new season and all the fun things that are bound to happen throughout the new few weeks! Here are some of the fun things they mentioned when creating the list, “Spring Fun”. Well, that is all for “All Things SPRING Week” but the Spring Fun has only just begun! We cannot wait to see what fun lies ahead for the season! As always, thank you for reading! Have a wonderful, fun, and safe weekend! Please check your email or the school calendar board for your schedule time.